Some things are better when you combine them. Peanut butter and jelly. Simon and Garfunkel. Gin and tonic. You get the idea. 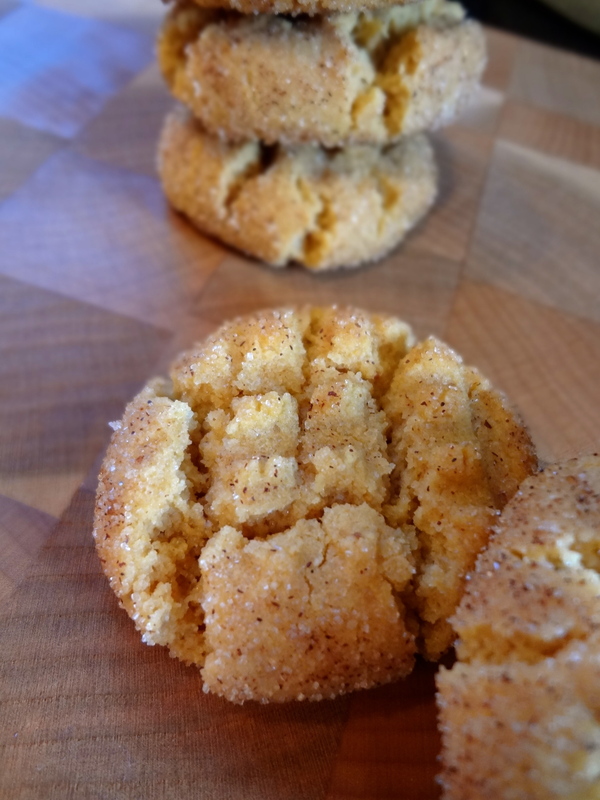 Once again I was stumbling around Pinterest when I found this recipe for Flourless Cinnamon Sugar Peanut Butter Cookies which combined a peanut butter cookie and a snickerdoodle, two of my favorite cookies. 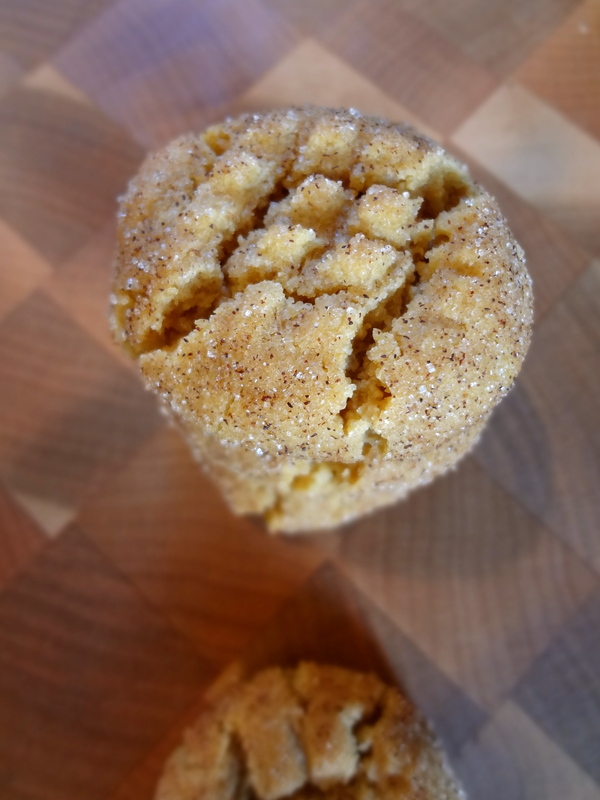 By rolling the balls of peanut butter dough in a cinnamon sugar mixture before baking, the cookie ends up having a crunchy textural exterior which contrasts fabulously with the cookie itself. Because there is no flour in the batter, the dough is softer than a standard peanut butter cookie recipe, which results in a cookie that melts in your mouth. Another plus is the seven ingredient list makes these cookies incredibly easy to whip up in a pinch. However, PLEASE chill the dough completely before rolling into balls. If you don’t, the cookies will spread and won’t be thick and chewy. Also, flourless = gluten free. This means cookies for all your friends and everyone is happy. Another side note: the board that I’ve been taking lots of pictures of food on lately, including these cookies…my brother made it. It’s amazing and makes a fantastic backdrop for cookies and various other baked goods. So here’s a shout out to Matt for helping my food look photogenic. Add the first six ingredients to a stand mixer with a paddle attachment and beat on high until the mixture is smooth and combined, making sure to scrape down the sides of the bowl. Place the bowl in the fridge for about one hour, letting the dough completely chill and firm up. Scoop about 1 1/2 – 2 tablespoons of dough and roll into balls. Dredge each ball in the cinnamon sugar mixture and place on a parchment lined cookie sheet about 2 inches apart. Flatten the tops of the balls slightly with the tines of a fork, creating a criss-cross pattern. Bake the cookies 8 to 9 minutes or until the tops are very lightly browned. Allow the cookies to cool on the baking sheet for 10 minutes before removing to cool completely on a wire rack.